A HeartCoach can be among the most valuable employees in every Senior Care community. What is a “HeartCoach,” you ask? A HeartCoach is a staff member at a Senior Care community who’s in charge of the HeartLegacy family engagement platform. We guide each community’s HeartCoach so that: 1.) residents and families are excited to engage and communicate with our technology; 2.) communities are always equipped with new content that they can use for marketing outreach. For residents and families, HeartCoaches improve the daily resident experience and provide peace-of-mind to family members. For community marketing and occupancy rates, HeartCoaches help their communities stand out from the competition. Bringing value to residents, families, and business operations makes HeartCoaches unique assets to their communities. Just as important, we make sure it’s fun and rewarding to be the community’s “go to” person for HeartLegacy! HeartCoaches receive custom gear once they sign up as their community’s HeartCoach. 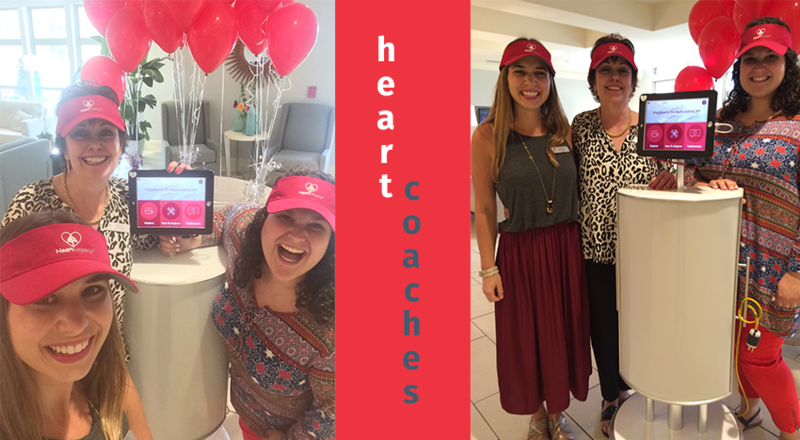 And every month, HeartCoaches vie for rewards through our “HeartCoach of the Month” program. Announcements and gift selections occur at the end of each month. If you’re interested in learning more about HeartLegacy and our HeartCoach program, please drop us a line here.